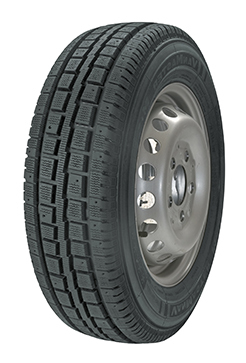 Designed to provide safety on snow, ice and slush, the Vanmaster M&S is a superior van tyre for winter. Constructed with aggressively profiled tread blocks, this tyre is optimised to provide enhanced levels of traction on difficult winter surfaces. The Vanmaster M&S is built with a central circumferential rib which enhances steering precision for stable handling in winter weather conditions. In addition, a specially formulated tread compound retains stiffness to provide high levels of safety when temperatures drop.